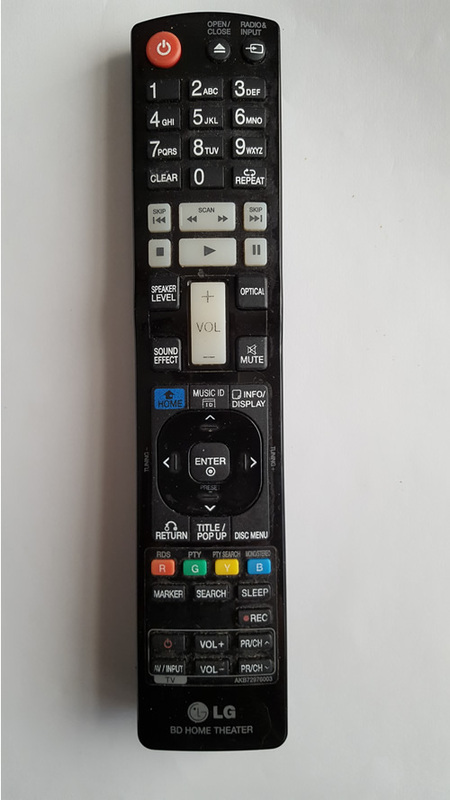 Fault Description : Volume buttons have to be pressed very hard to adjust volume but this only works intermittently now. 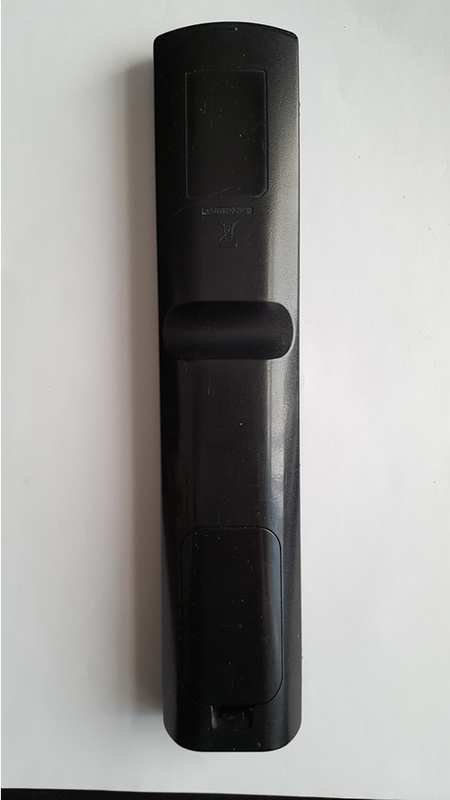 This DVD Home Theatre remote control arrived safely and on testing was confirmed to have faulty buttons, including the volume. 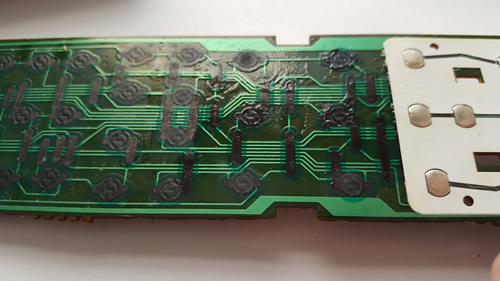 On opening the issue was found to be due to a contamination over all of the PCB (see images). This liquid was shorting out much of the button array. 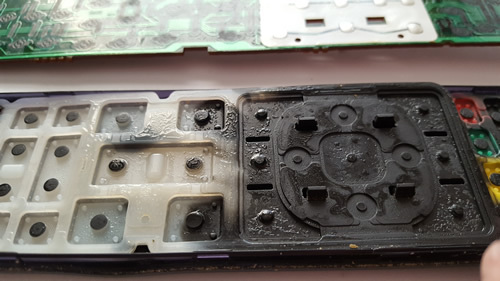 The PCB and button array was cleaned up to remove all contaminants and full functionality was restored.